I just wanted to put up a quick post and let you know what has been happening here. 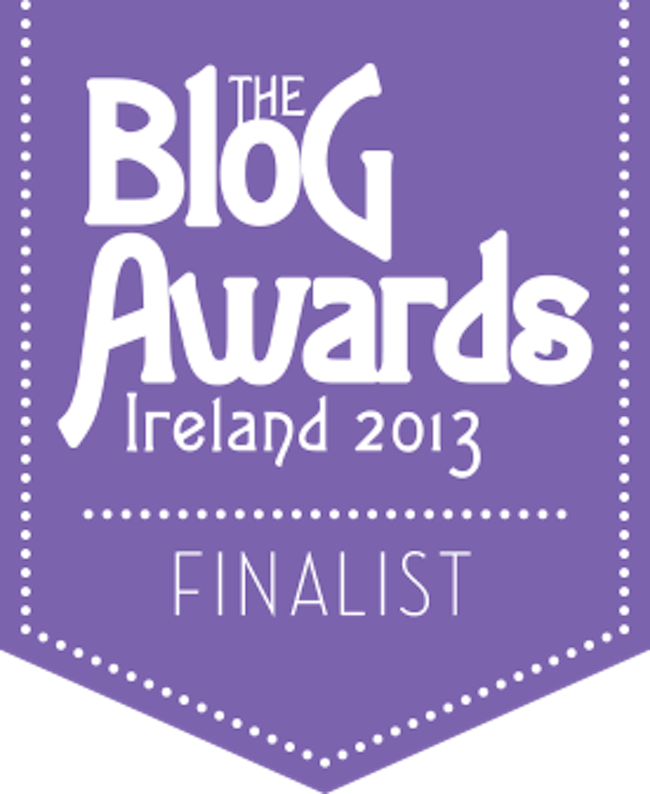 As you may have already noticed, there are a few shiny new badges on the right-hand-side of the blog. One will be somewhat familiar to long time readers but the other is new for us all (myself included). I’m not a musician and I’ve never claimed to be. And so naturally, I’m often asked why I write a MUSIC blog. I can’t sing (although try telling me that after a few drinks) nor can I play an instrument, yet. I have recently acquired an electric guitar but that’s a story for another day/blog. So what gives me the right to judge the merit of anyone’s musical offering? The short answer is of course nothing. I can’t tell if a guitar player is employing a certain technique of if a peculiar sequence of notes has any particular value. I can of course Google this if I want to appear “all-knowing” but really what is the point? It seems that blogs, more-so those pertaining to the arts, fall under a certain pressure to be critical. Of course we all have the right (and responsibility) to express criticism. Without truly questioning something how can we garner an understanding? But there is a blurred line between opinion and criticism. And whilst the power we wield as self-appointed judges can be addictive if not intoxicating, it is of no use to either artist or reader. But this is not to say that my music blog is of no use. There is a reason why I put fingers to keys and churn out “reviews”. The only musical asset I truly possess is my taste. That might sound a little pompous, but I do this because I love music. And the reality is that there is no real output for the wealth of musical talent in this country. When I make such a statement I am of course am talking about Ireland. A country with such a strong artistic and cultural history despite such minuscule investment and infrastructure. Whilst there are some good radio shows, publications and of course blogs who strive to put good music in the public domain, mainstream media continues to turn a blind eye to home-grown talent. Of course my blog can’t change this current state of affairs. But to employ a cheesy and overused cliché, I hope my contribution will act as another “brick in the wall” which puts good music to the forefront (Please excuse that Floydian slip). It’s chhriiissstttmmaaaaasssss!! Well not quite, but it is the first of December so I guess my rather enthusiastic Slade impersonation (imagination required) isn’t too out-of-place. But still, where has the time gone! Seems like only yesterday I was making new years resolution’s and yet here we are preparing to bid adieu to another year. But we’re not there yet. Not even close! December is a month of celebration and tradition and there’s one very important staple custom that I like to uphold on my blog. That of course being the ‘Album of the Year’ countdown. 2014 has been a particularly impressive year for new albums and artists alike and composing this list has been no easy task. That is to say, I am still racking my brain, chopping, changing and juggling 2014’s audible bounty to fit a more conventional Top 10. But whilst I continue to deliberate over this all important decision, I also want to hear from you. Which musical offerings have kept your ears captivated throughout the year? Let me know what your favoutite albums were in the comments below. And now…. Sure it’s never too early for Christmas songs! Words are great. You can use a thousand of them in one sentence and end up saying absolutely nothing. And in the same breath, you can paint pictures, conjure grand tales and captivate an imagination with just a handful. I was racking my brain earlier, trying to find something to write about, something to say. And I came across an idea in the a supplement in one of the weekend papers. The concept of which I found so interesting revolved around a short story competition. One where the only resource available to the writers was six words (of their own choosing of course). The idea for this, stretches back to 1920’s when Ernest Hemingway, within the confides of a bet, penned a complete story in just six words. And whilst the concept is far from new, it has sort of, kicked me back into action where my writing is concerned. How can I hide behind the excuse of having nothing to write about when all I need is six words. Now, finding the words is a whole other story, but a challenge I relish and look forward to all the same. Everyone has a story to tell, we just need to find the words. I can write my story in six words, or closer to the mark, I can write it in six million. The important thing is that I keep writing. Because that’s where inspiration is born, a craft is honed and more than anything else, it’s where a voice becomes audible. Well boys and girls, it’s that time of the year again and I’m delighted to announce that for the third year running, my humble music blog has been included amongst the country’s best and brightest. 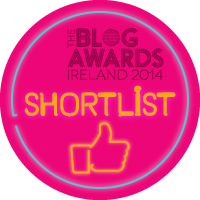 (I am of course talking about the Irish Blog Awards.) And whilst 2014 may not have been the most fruitful where blog content is concerned, I am honoured to see that my writing endeavors are still being regarded in a positive light. 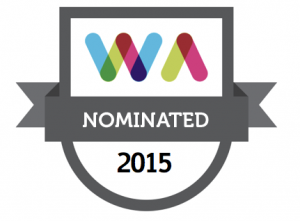 There’s still a long way to go in these awards, so I won’t begin to write my acceptance just yet. But that doesn’t mean that I can’t thank you (the reader) for living up to your name and reading, but also for commenting, liking my posts, following the blog and emailing me everything from music submissions to words of gentle encouragement (not that I need it). 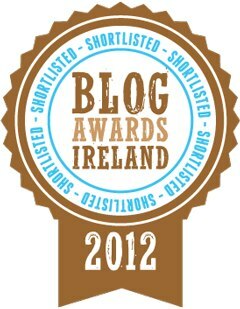 While you’re here, why not check out the other great blogs and websites nominated for this years awards. Or how about some music instead? I’ve been a bit afraid of the blue ‘publish’ button lately. Not that I’ve anything against the button itself or even the colour blue for that matter. But I have found myself at a loss for words. I spoke about writers block in a previous post, in fact I somehow managed to pen an entire article about not having anything to write about. But don’t worry, I’ll try not to do that second time round. And pretty much since then I’ve been adjusting to the new and sometimes confusing ways of ‘city life’. And so here we are now. As I hope you can imagine, it was hard to find time between all the above bullet points to sit down and actually write something. I come from a small town called Killorglin (see the video below). I studied locally, worked locally (kind of) and lived locally and at the ripe old age of 21 I found myself in the ‘big shmoke’ with a new house, new job and above all else a new life away from everyone and anyone who I once knew. Also at this point I should detract from the drama by saying that home is only a few hundred miles away. But it’s not all doom and gloom. In fact, so far there hasn’t been a single shred of either to report. Whilst it can be difficult to pack up your life and start a new, it is also a challenge which I have both embraced and enjoyed. I’ve been up in Dublin 5 months to this very day so I suppose the excuse of ‘settling in’ is wearing fairly thin now. But I’ll certainly try to write more and also draw on the inspiration of the city’s prolific literary heritage. Sure the birthplace of W.B. Yeats, the famed Irish poet and playwright, is only a few doors down! Now how about some music? So you may have noticed the absence of regular posts here on my blog since the end of the summer. And if you were paying real close attention you may even remember me mention that I was involved with some interesting musical projects. The most prominent of these takes the form of ROR Guitars, a local guitar company and brainchild of musician Rob O’Reilly. Well anyway, I’ve been helping the brand to find its feet and some form of publicity within the Irish music scene. And whilst the past few months have been busy, they have also been great fun. The following is taken from a blog post I published on http://www.rorguitars.com. It details the successes we’ve encountered with the innovative ‘BE-Guitar’ over the past few months. To say that the past few weeks have been busy for ROR Guitars would be an understatement. A statement so overwhelmingly understated that it does not begin to outline the ground covered by this ‘little guitar that could’. But where do we begin? How about with the BE Guitar’s new make-over in the form of our innovative prototype, The Infinity Mirror? How about the fact that it appeared on one of Ireland’s highest viewed live television programmes. We could start by mentioning some of high-profile bands who have recently shown an interest in the ‘BE’ or even our trip to one of the world’s most exclusive music events. But perhaps it’s best to go back to the start and take it from there. Like any new brand, ROR has been working hard to make itself known. This can be done in a number of ways. But as a new Irish company heavily grounded in music and the arts, it was decided from the very start that publicity would be a hollow gesture without the respect and support of Irish artists. So a number of Irish bands, who are currently flying the flag for all that is right with Irish music, were contacted and invited to try out the BE Guitar in the hope of garnering feedback. So with emails sent and phone calls made the BE was left with an interesting two days up in the capital and first on the list of mysterious rendezvous was of course Kodaline. With the countries highest selling album for 2013 already under their belt, Kodaline seemed like the logical first step. It’s great to have receive support from one of the countries finest new bands and we can proudly report that the Dublin quartet are now in possession of a BE Guitar. (See picture of Mark (Kodaline Guitarist) below rocking out with the guitar)It would have been a shame to visit Dublin and miss out on the opportunity of seeing Kodaline grace the stage of The Olympia Theatre for the first homecoming gig in many months. And thankfully, Jason (The Bass Player) was kind enough to sort us out with passes to the sold out gig (also pictured below). It goes without saying, but the gig was fantastic. Both crowd and band were more than happy to once again hear favourites from the debut album, In A Perfect World, being played on home ground. Next on the agenda was a meeting with Nial and Ro from Delorentos, a band who currently hold the accolade for Ireland’s album of the year (Little Sparks). Meeting a left-handed guitar player and a bassist with a (right-handed) BE Guitar may not have been the greatest start, but the feedback was great. It’s amazing how such simple issues such as guitar straps falling off and dropped pic’s on stage can occur to the biggest of bands and the duo were impressed with The BE Guitar’s simple solution for both. The final stop on our whistle-stop tour took us to RTE Studios (well the canteen, but close enough) for a meeting with Paddy Cullivan and the rest of the Camembert Quartet, The Late Late Show House Band. You may or may not know, but Paddy, the bands frontman, is a firm supporter of the BE Guitar and has even played it on the show a number of times. Long story short, we were meeting with Paddy to deliver a new upgrade for the guitar, the above mentioned Infinity Mirror. This prototype (soon to be released) consists of a mirror insert with a number of colour changing LED’s which creates a truly unique look and style for the BE Guitar. Once completed it will be able to work with any instrument from the BE range (guitar, midi etc). And if you were watching the Late Late Toy Show you might even have seen it in action. If not, then check out the picture gallery.